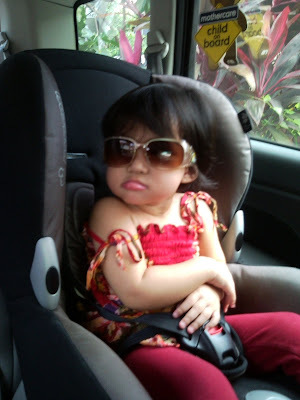 ..aryanna nadyne || full of life and hope..: Who Says You Can't Look Cool In A Car Seat? Who Says You Can't Look Cool In A Car Seat? Who ever said that car seats aren't cool? The car seat ain't the problem, people. It all depends on who's in it. Whether you look good or not when you're in it depends entirely on you. 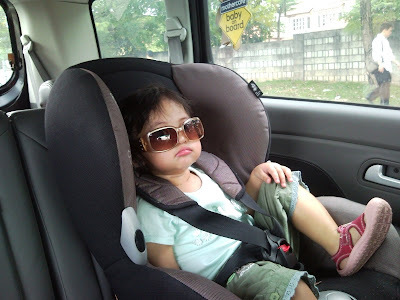 When you sit in the car seat, you gotta sit in it with ATTITUDE. Period. 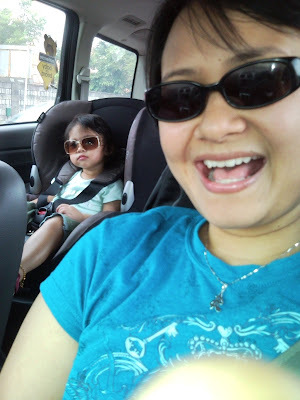 Besides, there are a lot of things you can do in the car seat while your parents drive you around. At least you're not stuck behind the wheels and not being able to do anything in the jam, right?